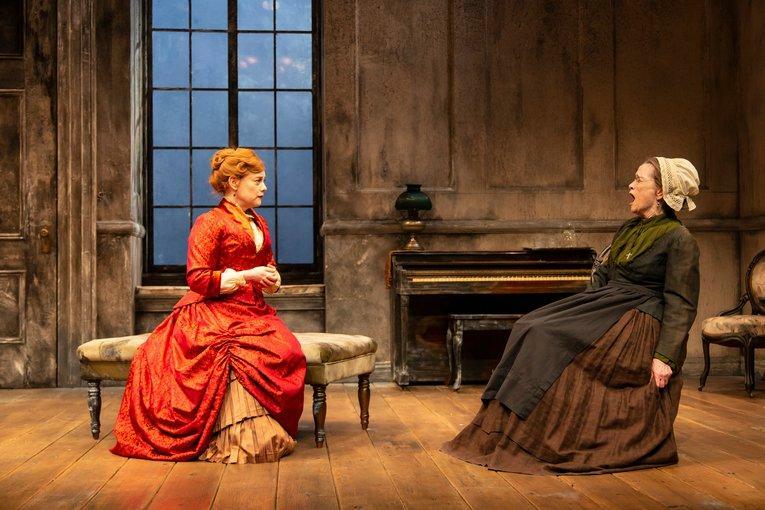 Ann McDonough Lets It Rip In GSP's "A Doll's House, Part 2"
In 1879, Henrik Ibsen’s “A Doll’s House” raised eyebrows and prompted discussions because it was play in which a woman, Nora leaves her husband and children. Last year, playwright Lucas Hnath created a sequel and brought “A Doll’s House, Part 2” to Broadway to critical acclaim. Now “A Doll’s House, Part 2” is running at the George Street Playhouse. Veteran actress Anne McDonough, who plays the nanny Anne Marie, chats with WBGO's Doug Doyle. While McDonough says she can somewhat relate to the struggles Nora had as a mother who wanted her own career. McDonough has three children in real life with her actor husband Jack Gilpin, who is currently starring in Showtime's Billions. She says she put her own career on the back burner while she was raising her kids. Ann McDonough joins WBGO's Doug Doyle to talk about her role in the George Street Playhouse production of "A Doll's House, Part 2"
"Lucas Hnath, the playwright, never gives Nora her due. Her husband in a A Doll's House, she lied to save his life and he screams at her for that, and berates her and he never gives her credit for that. But it's one of the reasons she feels that she must leave, that she feels so depressed." McDonough admits she gave up a lot to raise her kids, including her daughter Betty who stars in the Netflix comedy series GLOW. McDonough says the thinks women who come to the show are kind of threatened by her and what she did to her children and are rather disapproving. "There are nights when we get a partial standing ovation, and it's interesting men stand. And men are much more open to liking it. I think women disapprove of Nora." The cast also includes Kellie Overbey as Nora, Andrew Garman as Torvald and Lilly Santiago as Emmy. The show is directed by Besty Aidem. McDonough says she enjoys being salty in A Doll's House, Part 2. "Anne Marie swears alot unexpectedly. She's pretty salty. Betsy, when she cast me, said you were the last person I know to use the f-bomb. I said oh my God Betsy I am fowl, but I play lovely old ladies all the time. This is fun!!" A Doll's House, Part 2 runs through December 23rd at the George Street Playhouse in New Brunswick. 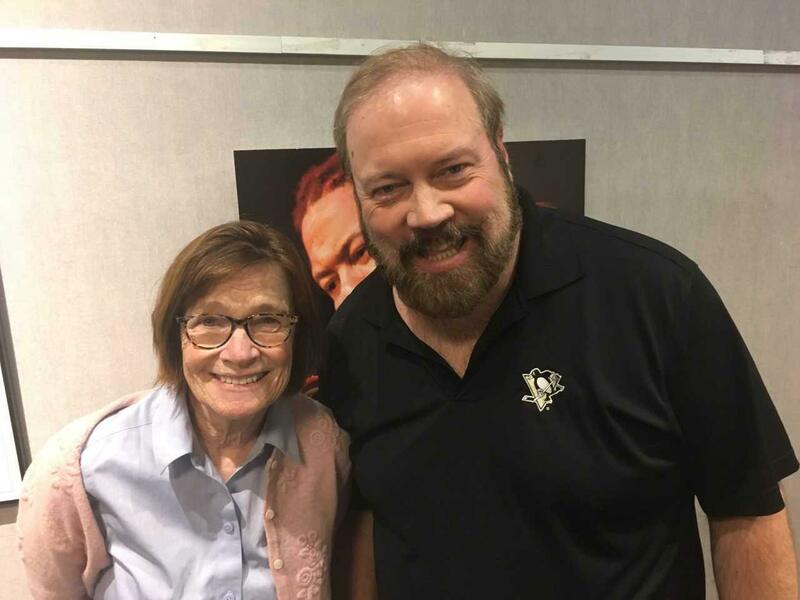 Click above to hear the WBGO Journal interview with Ann McDonough. Flor De Liz Perez in GSP Production "The Trial of Donna Caine"
Flor De Liz Perez makes her George Street Playhouse debut in the world premiere of The Trial of Donna Caine. Perez plays the role of Marine Staff Sergeant Donna Caine. Perez came into the WBGO studios to talk to News Director Doug Doyle about the show and her career. The two-act comedy The Nerd, written by American actor and playwright Larry Shue, runs through May 20th at the George Street Playhouse in New Brunswick. The Nerd was the top grossing American play in London's West End in 1986. Two of the stars of the show, Jonathan Kite and Kate Reinders, sat down with WBGO News Director Doug Doyle to talk about hilarious play and their respective careers. Philip Goodwin and Carly Zien star in George Street Playhouse's latest production Trying, based on playwright Joanna McClelland Glass' real life experience as Judge Francis Biddle's secretary. Goodwin and Zien sat down recently with WBGO News Director Doug Doyle to talk about the play and their careers. Goodwin plays Judge Biddle and Zien plays Sarah, Biddle's young new secretary. The Stars Of GSP's "American Hero" Ask Where Do You Stand? American Hero, the latest production at the George Street Playhouse in New Brunswick, temporarily located at 103 College Farm Road, is sure to put audience members on an emotional rollercoaster. Two of the stars of the powerful play, Laiona Michelle and Armand Schultz, came to the WBGO studios in Newark to speak with News Director Doug Doyle. Laughs Await You at GSP's "I Love You, You're Perfect, Now Change"
George Street Playhouse's new season begins in October with an updated version of the record breaking off-Broadway musical I Love You, You're Perfect, Now Change. Two of the stars of the show, Lindsay Nicole Chambers and George Merrick, sat down this week with WBGO News Director Doug Doyle to talk about their multiple roles in the musical.